Obituary for Harry Vernon Baker, Sr. | Crouch Funeral Home, P.A. H. Vernon Baker, Sr., 84 of Rising Sun, MD, passed away Monday, April 9, 2018 at Laurelwood Care Center, where he was lovingly cared for and watched over by his wife, Toni Baker. Vernon was born in Newark, DE, on October 4, 1933. He was employed in DE and PA as a Terminal Manager and in Shipping and Receiving. 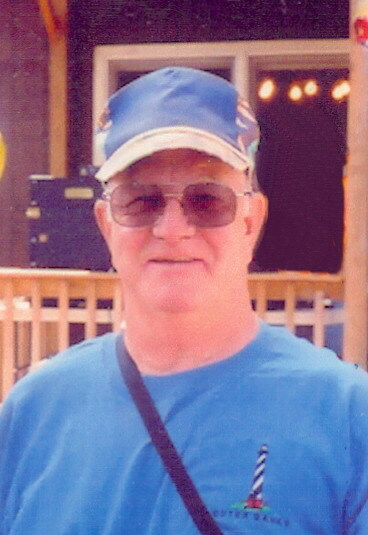 He enjoyed playing guitar and banjo, singing with country western bands, woodworking, fishing and spending time with his family. He was a member of the Newark Anglers Association and the Civil Air Patrol and was a pilot. He moved to VA in 2006 and was a volunteer with the Fire Dept. in Wachapreague for a time. He moved to Hagerstown in 2015 and to Cecil County in 2018. Vernon was predeceased by his parents: Harry Baker (Helen) and Rita (Crist) Baker Laws (Fred); his sister: Rita Jean (Laws) Harris; brother: James Laws; and his granddaughter: Dawn (Robitaille) Riley. He is survived by his wife: Toni; sons: Harry Vernon Baker, Jr. and Clarence "Pat" Patterson III (Crystal); daughters: Donna Peters (Jeff), Debbie Robitaille (George), Karen Mason (Eric) and Annette L. Patterson Prueitt. He had 8 grandchildren, 8 great grandchildren and a great-great granddaughter all of whom will miss his open mind, open heart and ready smile. Funeral service, conducted by Rev. Dennis Gilbert will be held Monday, April 16, 2018 at 11:00 am at Crouch Funeral Home, P.A., 127 South Main Street, North East, MD, with visitation beginning at 10:00 am until service. Interment will follow in North East Methodist Cemetery, North East, MD. In lieu of flowers, the family suggests donations to Alzheimer’s Association at alz.org or ASPCA.org.